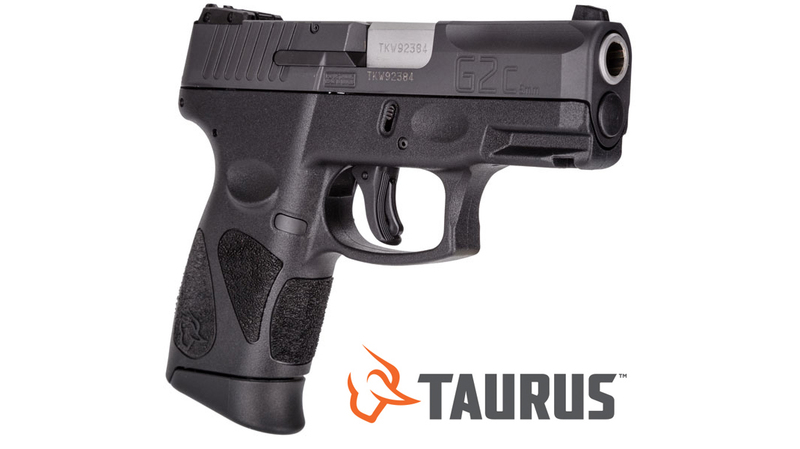 Taurus' G2C in 9mm is a great option for a concealed carry handguns. The slide contours blend with the frame to offer a snag-free draw and re-holster. Aggressive stippling on the grip helps to ensure a positive purchase. The G2C is a striker fired pistol but its double-action trigger system allows for restrike capability. Other features include a 12 round magazine, 3-Dot sights with the rear sight adjustable for elevation and windage, reversible magazine release, and a picatinny rail for mounting accessories.